Neste and Bioenergy La Tuque have started R&D cooperation with the objective of studying the potential of using forest residues as a raw material in biofuel production in La Tuque, Canada. The cooperation supports Neste's goals to expand the raw material selection available and increase the use of waste and residues. Currently, the company is capable of using more than 10 different raw materials to produce renewable products. "Neste is the world's largest producer of renewable diesel from waste and residues, and we are constantly looking into expanding our renewable raw material base. We believe that forest residues can play a significant role in the future in producing renewable products, and therefore, we are very excited about this R&D cooperation," says Lars Peter Lindfors, SVP for Technology at Neste. The agreement focuses on the technological and economical feasibility of the project and will assess the biomass availability at a competitive cost, identify technology bottlenecks in process lines, and validate the acceptable level of risk. 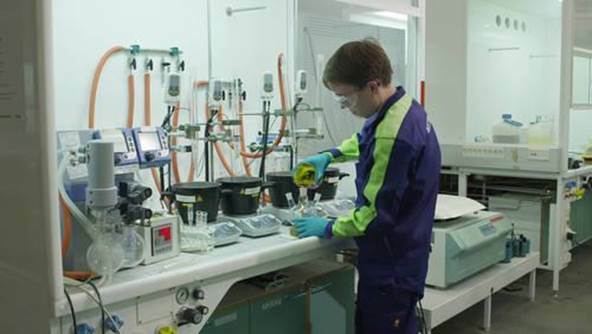 Neste R&D's main focus is on researching and finding new renewable raw materials. Currently, we use more than 10 different raw materials to produce our renewable products.